This article was posted on 5th January 2016. We love the dawning of a new year - the fresh start, clean diary pages and detox potential, but we didn't think we could get any more excited about 2016 until we spied Pantone's Colour of the year. 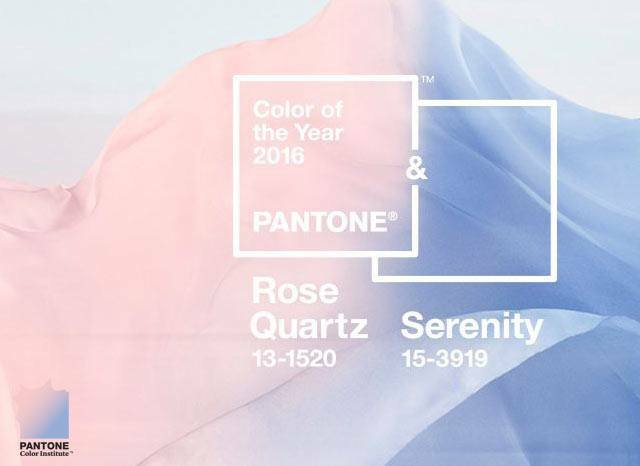 But wait, for the first time ever, 2016 is lucky enough to have not just one colour, but two: Rose Quartz & Serenity (Blue). A fabulous colour combination evoking images of balmy summer evenings and beautiful, magical crystal displays in a bohemian-chic home. It would be easy to assume these pastel shades are only suited to warmer months with their Miami-esque pallete, but it was only a little while ago we were revelling in the new trend of pastels for the chillier seasons in one of our seasonsal interior trend observations. In the right texture - velvets, wools and faux furs, these lighter colours have the perfect snuggle-factor we crave as the dark days fall on us, whilst having a good measure of optimism as the skies get greyer and rain seems to pour endlessly. 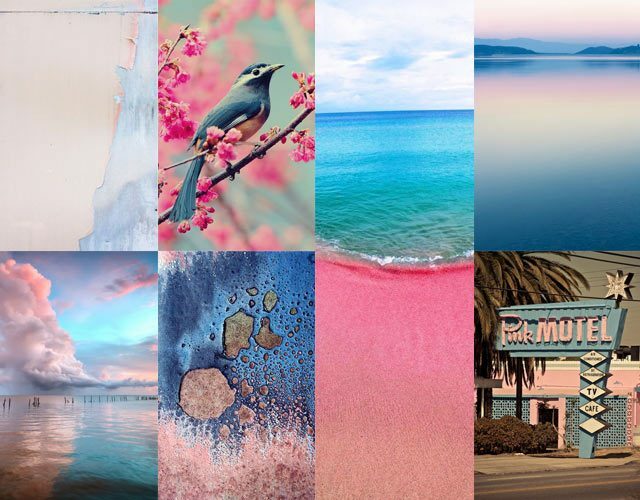 Our love of pink has never been a secret, you only have to read this recent blog post or take a look at our Instagram feed to know we're smitten with the feminine tone known for representing caring, compassion and love. With the addition of an equally soothing tone in Serenity, this colour combination is perfect for the bedroom - with the calming warmth of Rose Quartz and the relaxing coolness of Serenity, you're sure to create a beautifully balanced retreat. "Pantone's 2016 colors hold a very soothing energy -- it's no coincidence that these are the shades we choose for baby bedrooms! Light pink and light blue are calming, gentle colors, and the crystals which correspond hold similar vibrations. Rose Quartz has been known as the "Love Stone" for centuries, and has one of the sweetest, most calming vibrations of any crystal. Crystals which are light blue in color correspond with the throat chakra, and help us communicate in a grounded, loving manner -- Celestite is my personal favorite. I keep Rose Quartz and Celestite all throughout my home, the magic contained in these crystals/colors keep vibrations light, loving and peaceful!" 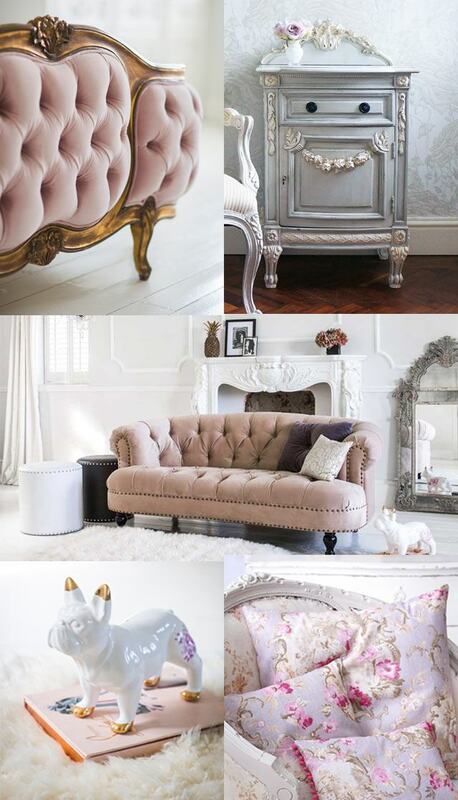 Sacre Coeur Pink Velvet Bed, £1980 ; Bonaparte Bone China Blue Painted French Furniture Collection, from £435 ; Chablis & Roses Pink Velvet Chesterfield Sofa, from £1120 ; French Toile Cushions, £35 ; Fuchsia Delft Bulldog, £196 .